You’ll often hear NFL commentators say things like “the NFL is a copy-cat league.” What they mean is that if a successful team does something new or unique in terms of personnel or playbook, you’ll see more teams doing that thing the following year. The wine industry is like that too, in some ways. The newest or coolest thing starts at one or two wineries in one region or another and then spreads like wildfire throughout the global wine industry. It’s easy to understand why: These wines and styles get a lot of press and trade attention and thus typically sell well. Things like orange wines — that is, white wines made in the style of red wines with extensive skin contact during fermentation — have spread well beyond their historic home in Europe. So too have pétillant naturel wines, known as pét-nat for short. These are fizzy wines made by bottling still-fermenting wine to capture the residual CO2 from primary fermentation. These styles are the darlings of sommeliers and writers today. I like them, too, and they are fun to write about. But not every winery chases these sorts of trends. They don’t take part in the copycat side of the wine industry. 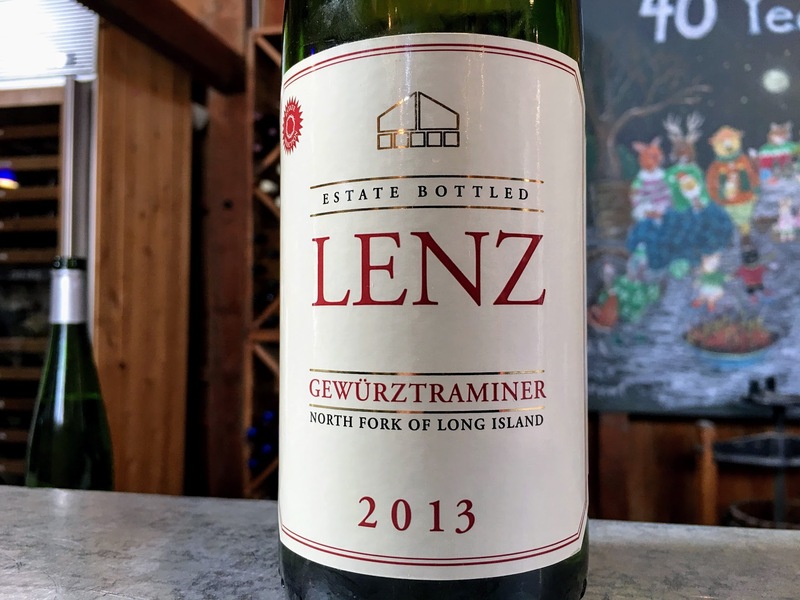 Peconic, New York’s Lenz Winery is one such winery. You won’t find orange wine at Lenz. You won’t find pét-nat either. What you will find is classic Long Island wines like Merlot, Cabernet Sauvignon and Chardonnay taken to the next level. You’ll also find Long Island’s benchmark Gewürztraminer and what might be the consistently most delicious Champagne-method sparkling wine on the East Coast. Perhaps it’s because Lenz doesn’t chase the next big thing, but Lenz often flies a bit under the radar. Last weekend I had the privilege of joining winemaker Eric Fry and a handful of wine club members for a barrel tasting of in-progress 2017 wines as well as the current-releases. It served as a reminder of just how good these wines are and how important they are to the region. Fry — who will retire as full-time winemaker later this year and give way to assistant winemaker Tom Spotteck — is an icon of Long Island winemaking. I’ve long admired not only his skill in the cellar — which is substantial — but also his earnest, transparent approach to wine and when I’ve interviewed him. In short, he’s a great quote because he doesn’t suffer any of the foolishness in the wine business. “There is too much Chardonnay in the world,” he told us bluntly as we tasted his brisk, passionfruit-and-lime-flavored 2017 Sauvignon Blanc straight from the tank. Sauvignon Blanc is a relatively new addition to the winery’s portfolio and the vines were planted — after some Chardonnay was ripped out — several years ago. We tasted more than a dozen wines over the course of the tasting and, having tasted a lot of barrel and tank samples over the years, I have to tell you how rare it is that every single wine tasted delicious, no matter how early on it was in the winemaking process. Wines like the Pinot Gris and Sauvignon Blanc will be bottled in the next few months. Those are almost ready. Those wines were varietally correct — meaning they taste like those grapes are supposed to taste — with great mouthfeel and acidity. Those wines are ready to go. They should taste good now. You’d worry if they didn’t. 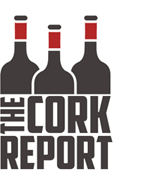 What was more surprising was how drinkable the new red wines were. New wines in barrel can be very coarse, very overtly oaky and kind of hard to taste critically. I’ve had winemakers tell me, “This wine is not tasting great right now, but it’ll come around.” That’s not how Fry operates. He wants his wines to taste good at every step of the process, and his did. From the Pinot Noir base wine that will become the 2017 cuvée sparkling wine to the Merlot to the Cabernet Sauvignon to a Malbec and an interesting Cabernet Franc-Petit Verdot blend, you could put any of them in a bottle today and I’d be happy to drink them. Before I left, I picked up bottles of two of the current releases we tasted. The first, the 2013 Cuvée, is a perfect example of Long Island sparkling wine. It shows an impeccable balance between white cherry and green apple with toasty, biscuit-y notes all focused by terrific acidity. I bought a cold bottle and drank it with my wife when I got home. The second was a 2014 Estate Selection Cabernet Sauvignon, which I will drink with the next steak I grill. It’s ripe with good structure and the start of secondary and tertiary flavors of mint and earth. All of the Cabernet Sauvignons we tasted stood out. More on Long Island Cabernet soon though. I’m working on that piece now. My Grandfather fermented Muscat, Sauvignon Blanc on skins. Back more them 50+ years ago! This is a true old world style.